Gone are the days when you had to flip through the pages to create a yearly plan and routine for yourself and remind important things. In this digital world you also need to digitize your routine and daily, monthly or yearly activity list for having it accessed most conveniently. Annual Calendar Templates offer you a simplest and great way to organize your yearly plans at a one single place. Just keep it at the most accessed and convenient place in your system and see you will never ever miss you plan. Most of the annual calendar templates come with easy to user and customizable options which you can frame as per your needs. Annual Tracking Calendar is a wonderful calendar template made to help you record and keep track of your important events, deadlines and dated throughout the year. 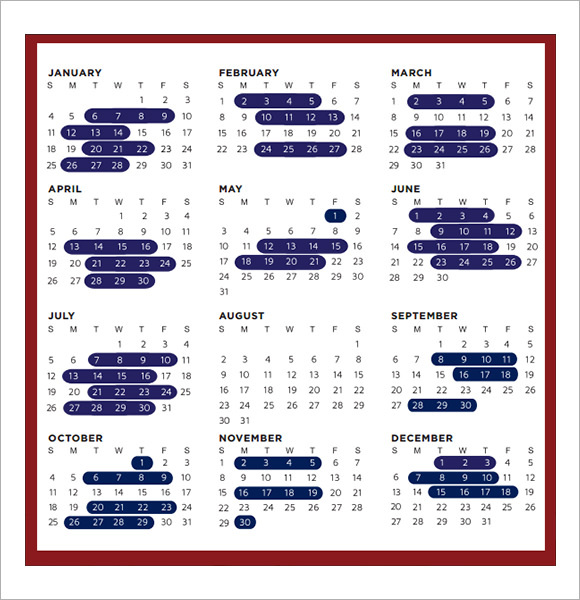 All the 12 months of the year are arranged in a single page and you can simply add your important events with dates to create a digital reminder. It is quite easy to access and can be customized conveniently. 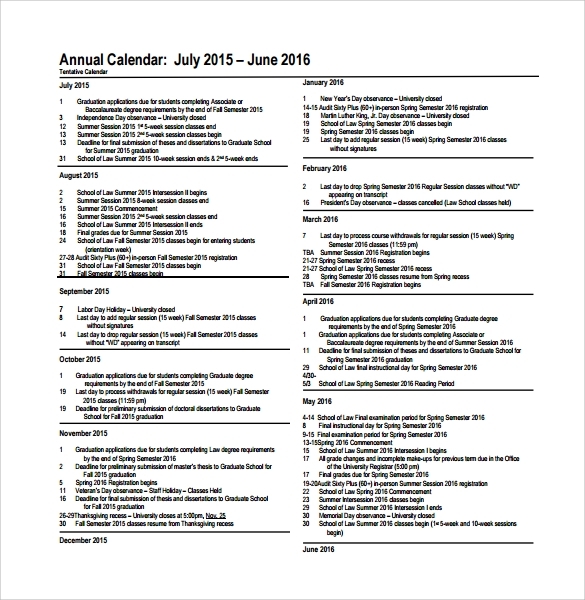 Get this template downloaded and organize your yearly plans easily. 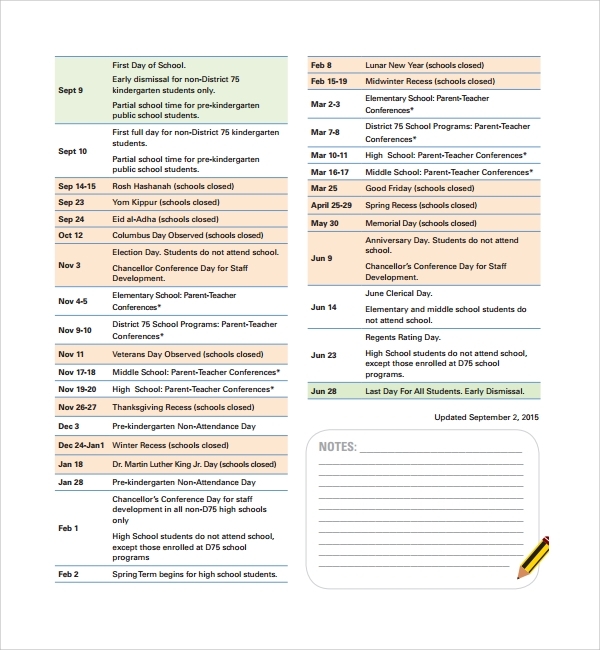 School Annual Calendar has been designed keeping in mind the requirements of preparing a calendar of events for a school itself. 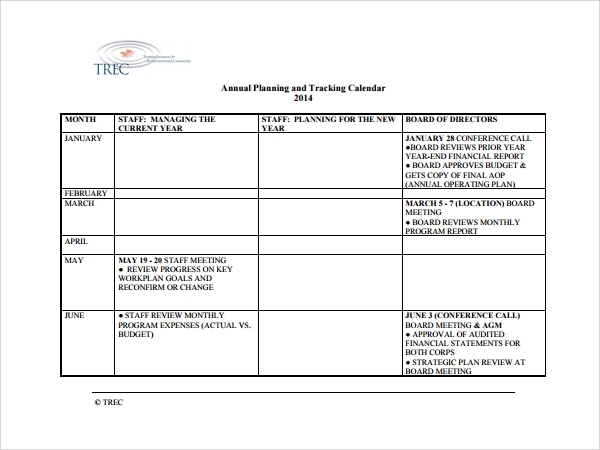 This annual planning calendar template consist of all the months listed in a single page with all the dates listed. On the sidebar it carries a table where all the school events and plans can be listed with explanations. 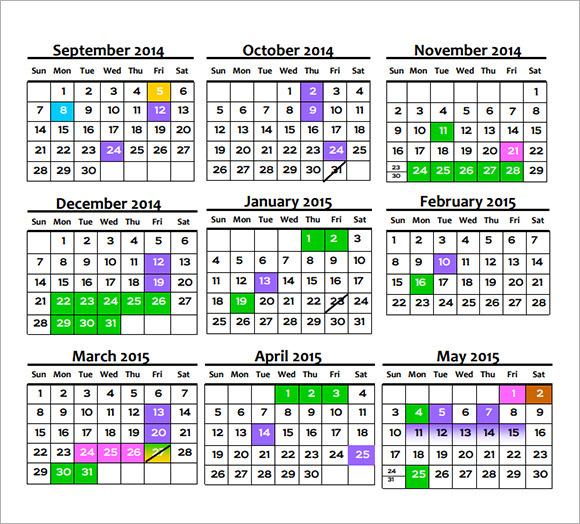 All the respective dates in the months gets highlighted. 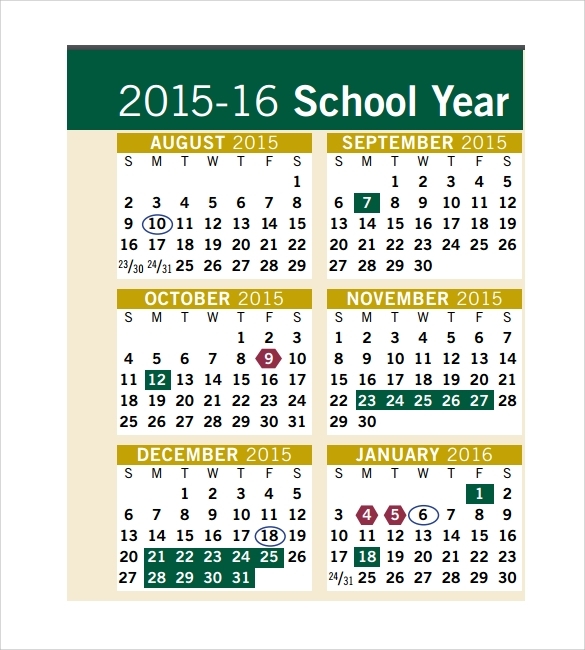 This school calendar template is fully customizable and you can even add name and logo of the school on the top. Monthly Calendar PDF is another ideal yearly calendar template that carries a Monday through Sunday format. All the months are listed and you can highlight the important dates associated with your events and deadlines for the whole year. 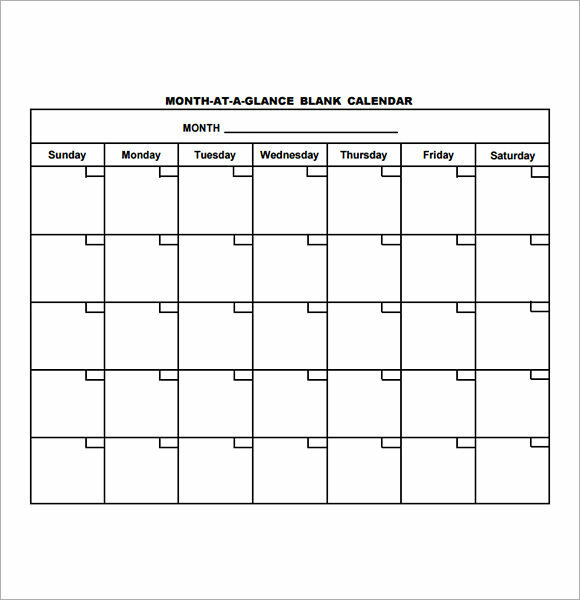 Download this monthly calendar PDF template for free and have a year at a glance calendar for your system. 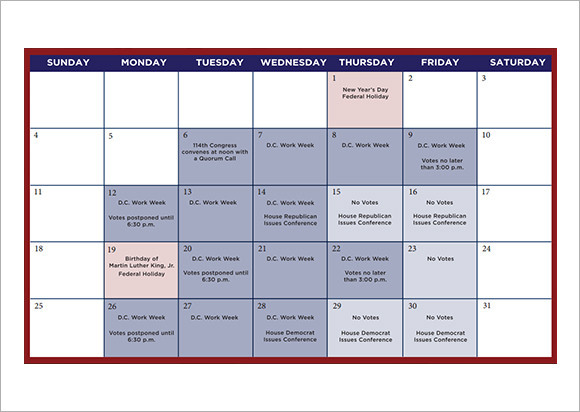 Download this Weekly Calendar PDF to organize your complete year in a week by week manner. This template will list all the weeks of a month in a single view in a Sunday through Saturday format and you can easily customize the calendar to add your notes to associate a date with your event, reminder, deadline or anything. This way you can easily keep an eye on all the upcoming events or important tasks for you. Annual calendar templates are widely used for business purposes. 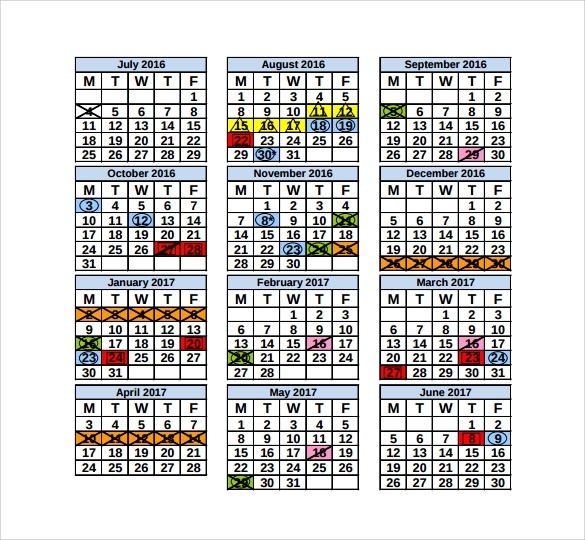 Whether it’s about creating an in-house custom calendar for employees about holiday schedule or organizing a schedule of meetings with clients and partners, all these needs can be met by these customizable calendar templates. 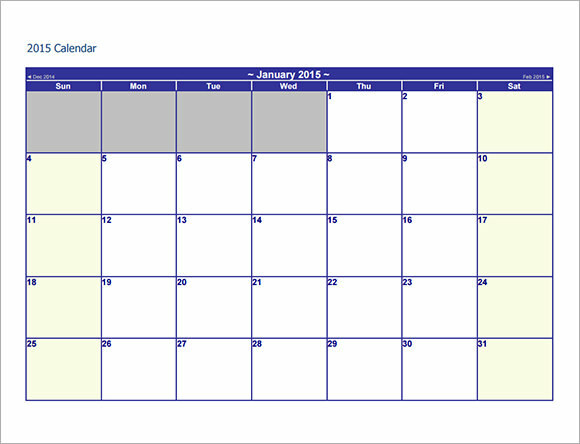 You can find various calendar templates meant especially for businesses. 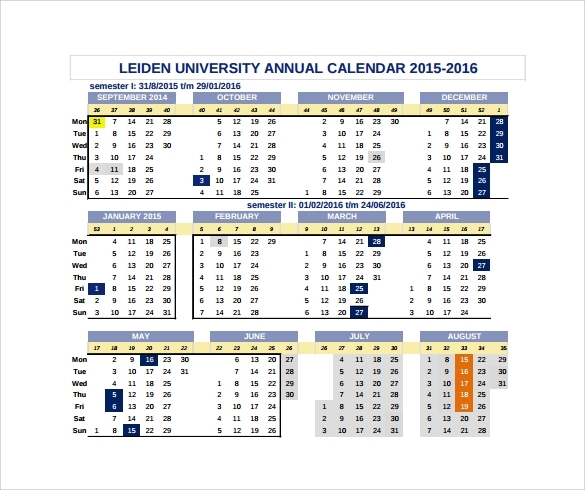 Annual calendar templates can also be utilized for academic institutions. As these institutions have long list of intra-college, school or institution events that is required to be framed into a well prepared plan. So these academics calendar templates give great benefit for academics institutions as well. In addition to this these templates can also be utilized for home use. As you can create a custom list of birthdays, important events, parties that you have to attend and more. Target audience of the annual calendar events is determined by the type of calendar it is. You can find calendar templates for all the fields whether it is business, academics, household use or anything. As these templets can be utilized by businesses for creating their organizational event list, holiday’s list, any special meet list etc. These may also be utilized by businessmen to maintain a schedule of their meetings with their clients or service providers. 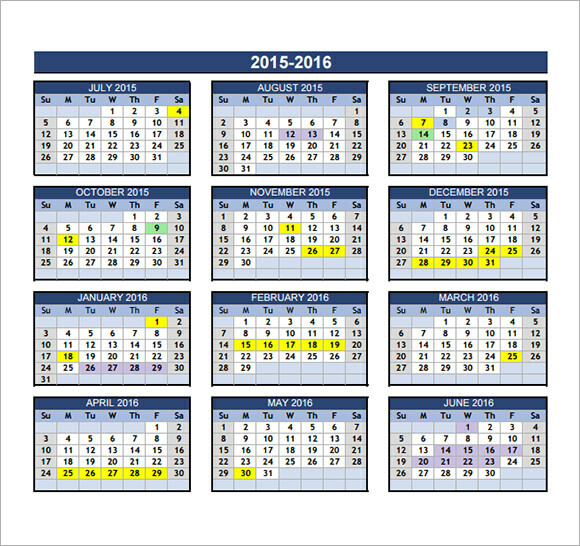 In the same manner calendar templates are utilized by academies institutions as well. Household people may also be a target audience for PowerPoint Calendar Templates as they also have their plans, schedules, list of birthdays or events. Easy Organization of Events – Annual calendar templates offer you easy and convenient organization of you important dates, evets and deadlines at a single place. So you can never miss any of your important tasks. Customization Options – Easy customization options carries by these free annual calendar template let you customize the calendar as per your need of organizing events. You can add your names, business name, any institution name or more quite easily. Capability to Add Personalized List of Events – You can create a complete list of personalized events and dates carried by notes with these annual calendar software to create your very own event calendar. Thus these templates may help you greatly in creating your yearly plan quite conveniently without any tedious design work. You just have to put your important dates with the associated notes and these will serve you as your ideal organizers. So get a perfect annual calendar template downloaded for your home, school, college, institution or business and keep your yearly plan framed perfectly.